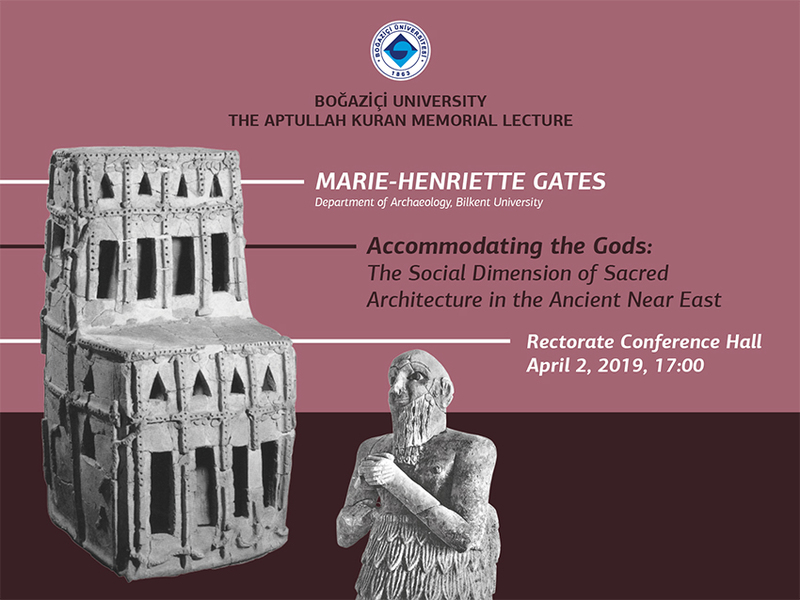 2019 Aptullah Kuran Memorial Lecture will be given by Marie-Henriette Gates on April 2, 2019, 17:00 at Rectorate Conference Hall. "Accommodating the Gods: The Social Dimension of Sacred Architecture in the Ancient Near East"
From the time of their earliest written records, literate societies in the Ancient Near East expressed a fundamental concern to house and maintain their gods in settings they thought appropriate. These fulfilled the interests of two separate corporations: the deities themselves and their human servants, who by this stage lived in urban communities and expected their divine patrons to join them there. Gods were accordingly housed in architectural structures conforming with urban social norms. For similar reasons, contemporary non-urban Near Eastern populations envisaged gods who belonged to unstructured places, like them. On occasion, however, social pressures also brought outdoor divinities into enclosed architectural spaces. This lecture will draw on archaeological and textual sources spanning several millennia to consider how sacred architecture in the Ancient Near East was conceived to answer the secular needs of its builders, and reflected their collective ambitions to accommodate the gods.